New York’s Left Forum conference, known as the largest leftist conference in the U.S., has rejected the If Americans Knew panel on Palestine without explanation. The censorship is also especially ironic in that the topic of the IAK panel was the censorship of those who criticize Israeli oppression of Palestinians. The panel was to be entitled: “Is Talking about Gaza anti-Semitic hate speech, or a vital step toward ending oppression?” and was to consist of a Muslim Palestinian refugee immigrant, two American women, and a Palestinian-Colombian-American man. Is Talking about Gaza anti-Semitic hate speech, or a vital step toward ending oppression? According to Israel, the US State Department, the Anti-Defamation League, and the South Carolina legislature – the first of what will likely be many states – the subject of Gaza is indeed hate speech. The panel, organized by If Americans Knew, consists of a Gaza-born Palestinian Muslim, a Palestinian-Colombian-American filmmaker/activist from Chicago, an American blogger/activist from Rockford, Illinois, and an author who travelled throughout Gaza during the Second Intifada. The panel will include firsthand descriptions of the current situation in Gaza – including the Great March of Return – and the background of the conflict, film clips about how Israel works to censor and control the internet, and a discussion of current and upcoming legislation – both in the US and worldwide – that would effectively shut down dialogue and leave Palestinians at the mercy of Israel’s program of ethnic cleansing. If Americans Knew has been working to inform Americans on Palestine for nearly 18 years, ever since its founder travelled to Gaza and the West Bank at the height of the second intifada as a freelance reporter. In addition to its main website, it has a news blog that has been covering current events including the Gaza Return March in detail, a timeline of all Palestinians and Israelis killed since 2000 including numerous videos, a YouTube channel on this issue, and a diverse array of booklets, fact sheets, cards, and other handouts that have been distributed to thousands of peace activists around the country. One of IAK’s videos by filmmaker Samir Salem, who was to be on the If Americans Knew panel. Samir’s films focusing on diverse social issues have won multiple awards and have been distributed around the world. He is the founder of Cinemonger, a motion picture company defined by the blue-collar attitude Samir was raised with. Its mission is to produce inspirational motion pictures to bring about social change. While the ADL and some other influential groups oppose If Americans Knew (the ADL lists IAK among the top ten “anti-Israel” groups – i.e. 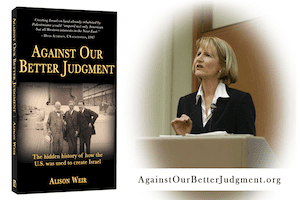 those working for Palestinian human rights – and Alison among the top five such individuals), over 2,000 principled and committed peace activists signed a petition in support of If Americans Knew, and another 1,759 signed a similar petition of support. Thousands of peace activists signed petitions in support of If Americans Knew, including some of the most respected humanitarian leaders in both the U.S. and Palestine itself. Apparently Graetsch isn’t aware that JVP’s alleged commitment to BDS is somewhat questionable; the spouse of the JVP head works for an Israeli company called “Check Point Security,” named after the notorious Israeli checkpoints at which so many Palestinians have been humiliated, injured, and sometimes killed. The company was founded by an IDF intelligence Unit 8200 veteran ((Unit 8200 operates a massive global spy network), and reportedly has close ties to the Israeli military. Anyone who opposes censorship and supports Palestinian rights may wish to contact the Left Forum board of directors and staff members about their decision to exclude If Americans Knew from the upcoming conference.